Hotel Cielo Rojo , just minutes from Sayulita in the heart of cobblestoned San Pancho, a charming boutique hotel. Simply elegant and pleasant rooms, warm and inviting decor (a feast for those who love detail and unique art objects), exquisite food, personalized attention from its lovely staff, a quiet intimate experience (SeattlePI review named the hotel as one of 20 top affordable romantic getaways between Seattle and mexico-www.seattlepi.com) and a fun vacation complete with lively dinners, cultural activities, good conversations over coffee or during the occasional wine/tequila tasting nights and, in general, the authentic spirit and kindness of this small Mexican town. The accommodations consist of six guestrooms and two suites (the third floor Suite, includes a lovely palapa roof). Vacation at the Hotel Cielo Rojo in order to escape to pristine, clear water beaches for swimming, sunning and surfing. Enjoy natural beauty and old-world Mexican charm where donkeys share the streets and roosters are your wake up call. The hotel's concierge service offers personalized attention and service for entertainment, cultural activities, tours, spanish lessons, and the many other activities in and around San Pancho. Same day laundry service can be arranged, in which laundry is folded and delivered to your room. As well as, evening babysitting can be arranged. The hotel offers acupressure, reflexology and Swedish massage treatment sessions in the privacy of your own room. A delicious continental breakfast is served on the garden patio every morning (complimentary to our Hotel guests). Open to the public - the restaurant offers an exquisite , yet affordable Breakfast, Lunch and Dinner menu. Bistro Organico is a unique and worthwhile culinary experience - paying tribute to local seafood and fresh produce (chefs use local organic products whenever possible, shopping at the local farmers market, creating their own yogurt, all baked products and tortillas are homemade, seafood always fresh! For more details, visit our ad (and menu description) in SayulitaLife Restaurant Section (Bistro Organico). Hotel Cielo Rojo is committed to using biodegradable products, including detergents and soaps produced by ecological groups and local makers in Mexico. 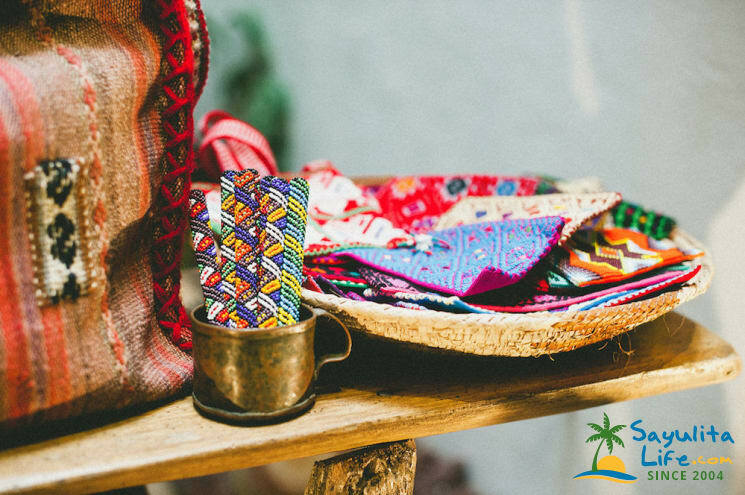 Natural hand-made soaps, organic coconut oil, non-toxic insect repellent are sold in the hotel's boutique where also you can find both contemporary and vintage clothing, jewelry and accessories. Hotel Cielo Rojo and Bistro Organico is truly a special place - but do not take our word for it - come, visit and enjoy every minute. Welcome to San Pancho, just minutes from Sayulita! Visit our Wine Shop in Sayulita! Try some of Mexico best wines, Tequilas, Mescales! Cielo Rojo is better than it has to be, on all counts. We were in town for the San Pancho Music Festival, a terrific 3 days of rock and folk. 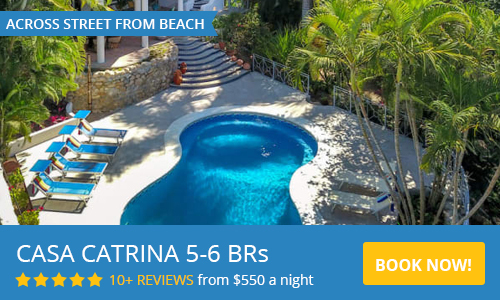 San Pancho is basically a one-road town just a few miles north of Sayulita. It's quieter, really chill. Fun restaurants and shops, a big beach. Super-nice people. Hotel Cielo is in the middle of things. It's a pretty, boutique hotel. Beautiful art. Way comfortable room. Really friendly staff who tolerated our not-so-good Spanish. Restaurant is the surprise: it's way better than we could have hoped. Food is organic, local, and great. The tequila tasting is a nice touch. I could see spending a week, month or more in San Pancho. The part at Cielo Rojo would be great. Wonderful in all regards! Staff so friendly and helpful, amazing, healthy food, all a few blocks from beautiful beach. The food is a gastronomic adventure and lots of GF, which was fantastic for my daughter who has celiac. Buddha Bowl best breakfast ever. Happiness is here! The Hotel Cielo Rojo has six guestrooms and two suites.